I'm currently using 2 screens for work and I CMD-Tab a lot. But I always have to move the mouse to the other screen. Keyboard Maestro can be setup to do this. I know this is a heavy weight solution for a simple task. However, if your already have KM or if you find value in it for automating other tasks, it is a great option. Note: this is centered. The (0,0) is relative to the center of the window. Not the answer you're looking for? 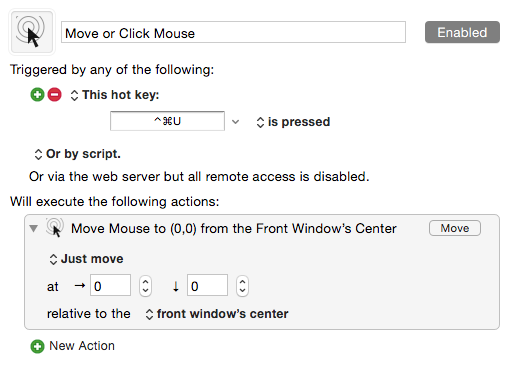 Browse other questions tagged mac mouse cursor . 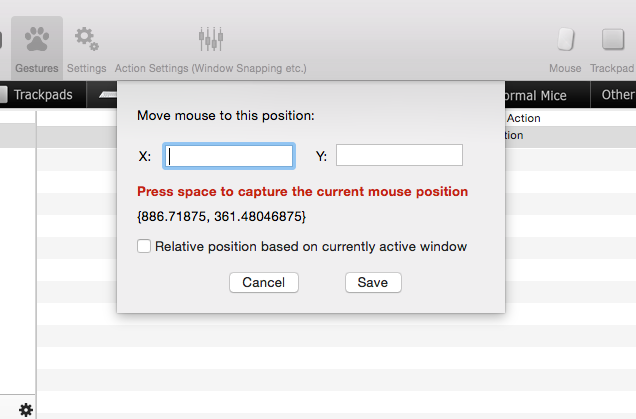 How do I make OS X auto focus on the window in the screen the mouse moves into?